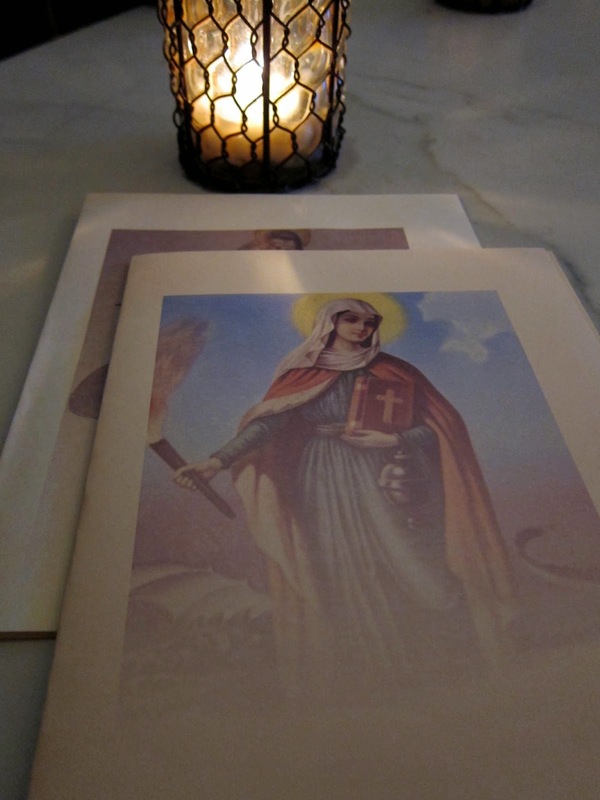 Saint Martha's is unlike any restaurant that I've been to in Los Angeles. First, let's talk about its location. It's located in an unassuming strip mall, in the heart of Koreatown, that I didn't even know existed. And mind you, this is quite a feat considering I'm quite familiar with Ktown for the twenty-something years I've lived and grown in LA. I was immediately intrigued. Second, there are no windows, but there is a red door. Yes. Third, once inside, you'll find yourself in a small, but cozy space, illuminated by many candles and lowlights. But leave all pretension at the door because this place is not about that. Fourth, they stay true to their theme with the menu covers. I just learned that in Catholicism, Saint Martha is the patron saint of cooks and servants. Hospitality was of great important to Martha, and she was dutiful in serving all guests, including Jesus. Now their hashtag, #cooksandservants, makes so much more sense. 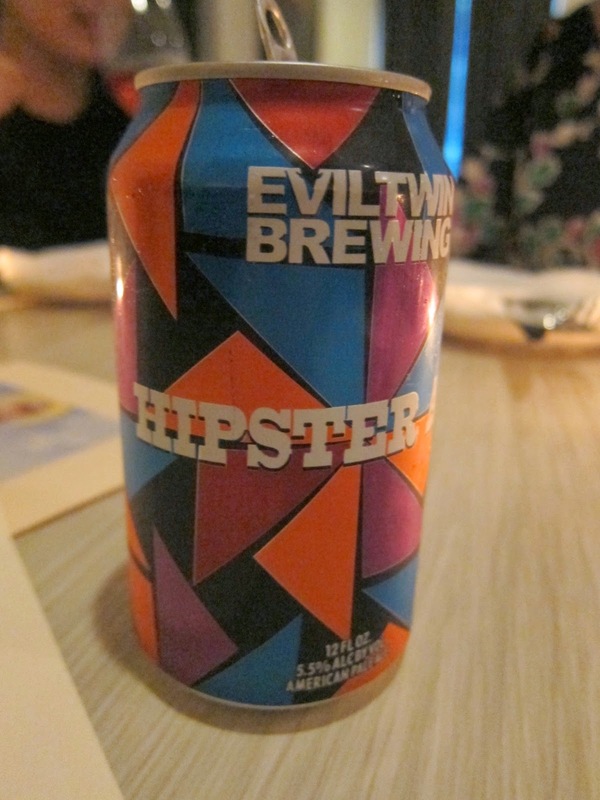 Fifth, they have a neon light sign in the kitchen that states, "Hipster. But let's talk about the food. You will kick off your meal with an amuse bouche, which, in conventional terms, essentially serves as a preview of the chef's creations to follow. Amuse thy mouth with this. We started with a couple of "Snacks." Loved the uni (per usual), but the octopus is what delighted me the most. To my pleasant surprise, the octopus was not tough and rubbery as octopus tends to be. That sucker was cooked slowly and carefully and then topped off with a piece of bacon. Under the "Rawesome" section of the menu, we opted for the Steak & Oyster Tartare. The champagne sabayon (essentially egg whites + sugar + champagne) was the highlight of this dish, more so than the highly-anticipated bone marrow beignets (flavorless because too fried up). Love me a meaty scallop -- extra points for being perfectly-seared and paired with the fennel-mussel sauce. There appears to be a lot of green in these photos, which initially made me skeptical considering this dish was under the "Meaty Things" section. The brisket hidden underneath the leaves. ... there is a healthy portion of lip-smackingly delicious brisket buried under the green. Slow-cooked, tender, and delicious, especially dipped in the hoisin sauce, it will stop time for just a moment. All three desserts were marvelous in their each, unique way. Overall, the honey + peach won me over, but I'm pretty sure I can eat the peanut butter ganache by the spoonful at any time of the day. Did I mention that they carry 50 different wines with three tasting options: 1) sip, 2) glass, 3) bottle. While it can be called a wine bar based on this fact alone, Saint Martha's is something far more. It brings you haute cuisine sans any haughtiness. It serves a fancy meal (with an equally fancy price tag) in a comfortable, relaxing environment. Its owners, managers, and chef+staff are warm and welcoming. For all of these reasons, Saint Martha is a new kid on the block that is worth meeting quickly. So, what are you waiting for? Go! Special shoutout to the Mary Thompson (sommerlier), Jim Hustead (the "other guy"), and Nick Erven (the chef, aka - the man). Recommendations: Octopus appetizer, Scallop, Brisket, Honeyfied Peach dessert. notes: Located in a strip mall. Look for the red door. Make reservations. They have 50 different wines and three different wants to enjoy them -- sip, glass, or bottle. interesting place for a fancy restaurant. i remember they had some mighty good gamjatang in this spot. I went last week. They let me play their ukulele and even turned the music down. Really amazing place. Funny thing is I used to go to this same spot when it was Isa Ramen.